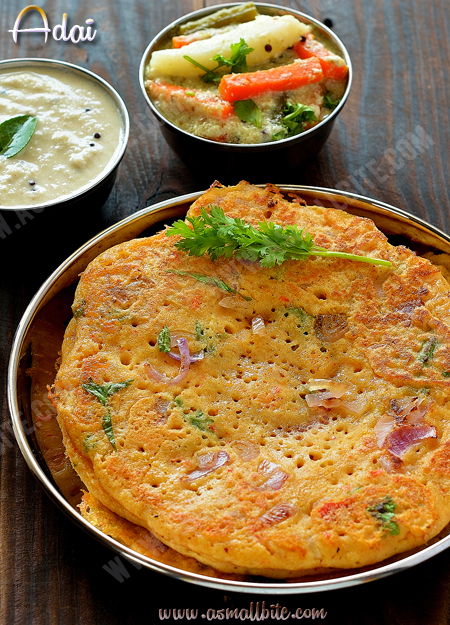 A healthy, protein-packed, Adai Dosa Recipe (with video) and detailed step by step pics. 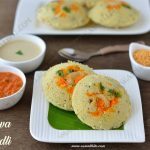 This adai recipe is a medley of rice and dals and the most pretty good thing in this dish, it does not require hours of the fermentation process. The batter can be used immediately after grinding and to make it healthier, use a handful of drumstick leaves which lends an amazing flavour. 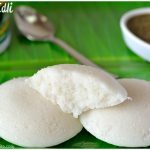 I always like to have it with avial, coconut chutney and sometimes with kara chutney. I have seen some people having with jaggery, sugar or butter too. 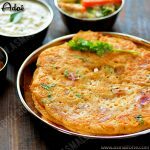 Adai recipe / Adai Dosa Recipe is a medley of rice and dals and the most pretty good thing in this dish, it does not require long fermentation process. First, to a wide bowl, add raw rice, idli rice, toor dal and channa dal. Then add moong dal and urad dal. Pour enough water and soak for minimum 3 hours. Rinse well and drain the water completely. 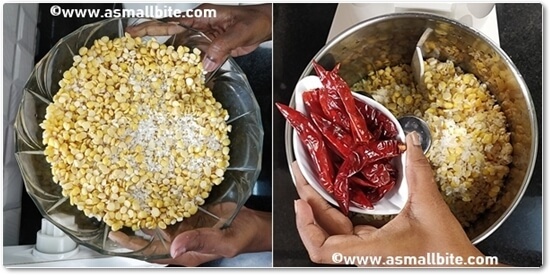 To a wet grinder or mixer, add the soaked rice and dal. Then break the red chilli's into 2 or 3 pieces and add it. If using a mixer, use the pulse mode option. Add fennel seeds and little water at regular intervals. 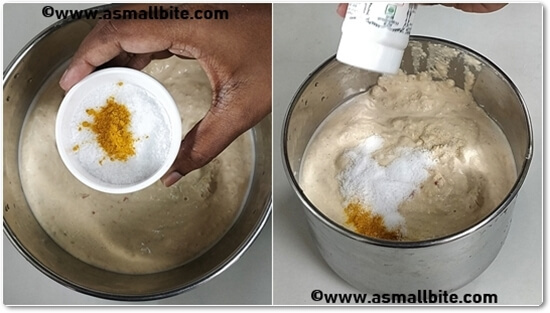 Grind it to a coarse paste and the batter should be little thicker than the usual dosa batter in consistency. Transfer the batter to a vessel and give a standing time of minimum 1 to 2 hours, which adds more taste. If you want to make immediately also, you can use the batter. By the meantime, chop shallots and coriander leaves finely. Now add turmeric powder, required salt and hing. Next, add chopped shallots, coriander leaves and mix everything well. 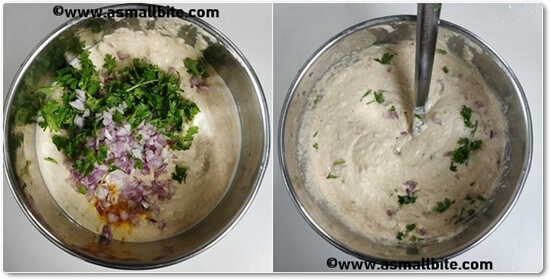 Heat a dosa tawa, pour a ladle of batter in the centre and spread it to the edges. 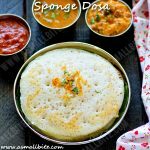 Usually, adai should be thick only, so don't spread it like the regular dosa. Sprinkle oil all over the adai and cook in low flame for 2 minutes. Then flip it to the other side and cook for another 2 minutes till it to golden colour. Do the same with the remaining batter. Enjoy this Adai dosa recipe with coriander chutney. First of all, soak the rice and dal for a minimum of 3 hours for easy grinding. Also, no need to soak rice and dal separately. If grinding in the mixer, use the pulse mode option. 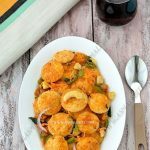 Adjust red chilli as per spiciness required for this adai dosa recipe. Addition of fennel seeds is optional, but it lends more flavour. If preferred, 4 garlic pods can be added when grinding the batter. The batter should be little coarse and slightly thick than the usual dosa batter in consistency. Furthermore, give a standing time of minimum 2 hours for the batter to get a better taste, while you can use the batter immediately too. I suggest using shallots only to get an excellent taste. Also, add the shallots just before preparing the adai recipe. Always cook the adai in low flame only to ensure even cooking inside. This batter can be used within 2 days but refrigerate it and use whenever needed. 1. First, to a wide bowl, add raw rice, idli rice, toor dal and channa dal. 2. Then add moong dal and urad dal. 3. Pour enough water and soak for minimum 3 hours. 4. Rinse well and drain the water completely. To a wet grinder or mixer, add the soaked rice and dal. Then break the red chilli’s into 2 or 3 pieces and add it. If using a mixer, use the pulse mode option. 5. Add fennel seeds and little water at regular intervals. 6. Grind it to a coarse paste and the batter should be little thicker than the usual dosa batter in consistency. Transfer the batter to a vessel and give a standing time of minimum 1 to 2 hours, which adds more taste. If you want to make immediately also, you can use the batter. By the meantime, chop shallots and coriander leaves finely. 7. Now add turmeric powder, required salt and hing. 8. Next, add chopped shallots, coriander leaves and mix everything well. 9. 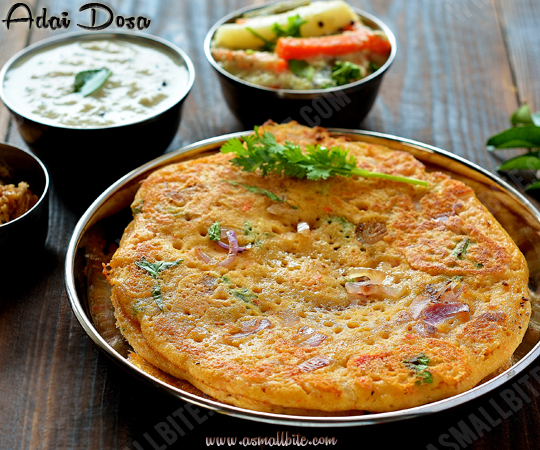 Heat a dosa tawa, pour a ladle of batter in the centre and spread it to the edges. 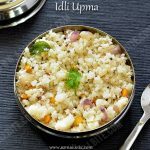 Usually, adai should be thick only, so don’t spread it like the regular dosa. Sprinkle oil all over the adai and cook in low flame for 2 minutes. Then flip it to the other side and cook for another 2 minutes till it to golden colour. Do the same with the remaining batter.